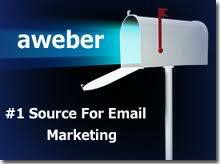 I’ve been using Aweber for my email marketing for almost 10 years. They constantly upgrade their service to provide the latest applications to feed marketers need. Any new users will find the tutorials useful to guide them to succeed in their email marketing. It’s what every business owner and employee wants. But how does email marketing fit into the picture? Email marketing provides an easy way to stay in touch with your audience and engage new prospects – whether you want more customers to purchase your products/services or more readers on your blog. And when you have an opportunity to get your message before the eyes of your subscribers every day, every week, or once a month, you can make a personal connection with each individual. In addition to the warm fuzzy feelings, email marketing is simply an effective way to influence others to take a desired action. In fact, 66 percent of consumers have made a purchase as a result of an email. So the question now is, how can you get that? If you’re just getting started with email marketing for the first time, don’t worry – setting up is a breeze. Here are the first three steps you can take towards growing your business with email. Before you can begin sending out emails, you first need an audience of subscribers to send to. Above everything else, your email list is the most important part of your email marketing strategy. These are the people with whom you’re going to build relationships via email. They’re the audience you can potentially turn into loyal, repeat customers. The first step to growing your subscribers? Add an email sign up form to your website. Ideally, this should live on pages that receive a lot of traffic, such as your homepage and/or blog page. In your sign up form, be sure to tell people what kind of content you’ll be emailing them. Will you be sending them product discounts or new featured blog posts? Be sure to tell your site visitors because people want to know what to expect by signing up to your email list. In the example below from Social Media Examiner, the sign up form introduces the incentive offer and explains that subscribers will receive article updates.